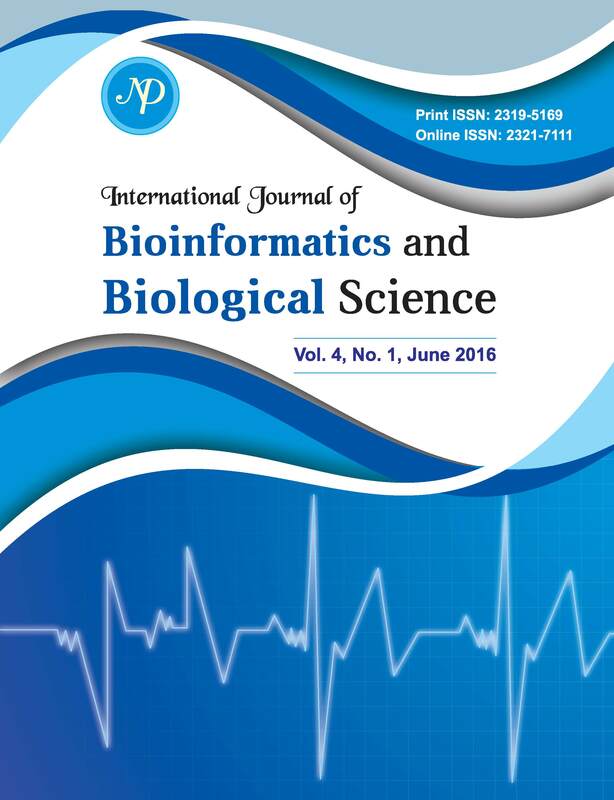 The journal International Journal of Bioinformatics and Biological Sciences is an open access Bi Annual publication that comprises various inter-disciplinary domains of biological sciences. The said journal apprises the latest development in the disciplines of Bioinformatics, Biotechnology, Computational Biology, Genomics, Proteomics, Agriculture, Agri-Informatics, Animal-Veterinary Sciences, Chemoinformatics, Pharmacology, Pharmaceutical Science, Nanotechnolgy, Biological Data mining at International level, to the global scientific community. The journal attracts and publishes the original research articles, short communication and reviews from researchers and scientists of repute in their respective fields. Our objective is to keep life science community updated with the latest development and recent advances in fast growing fields of biosciences. The journal also encourages inter-disciplinary/ multidisciplinary research teams for understanding biological mechanisms of various processes to meet the requirement of different fields and promotes biological knowledge. International Journal of Bioinformatics and Biological Sciences is published in print as well as in electronic form by New Delhi Publishers and accepts an exceptionally exciting, novel and timely communications presenting new and original research work.